The Kapamilya actress turns 28 in a few days. Considered as a member of their family, Erich Gonzales got a birthday surprise from Majorie, Julia, Leon, and Dani Barretto four days ahead of her birthday. 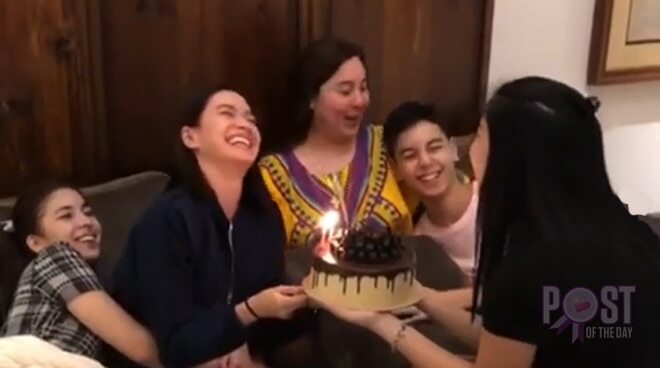 In a video posted by Marjorie Barretto on Instagram, Dani is seen holding a cake while her mom, brother, and sister are singing 'Happy Birthday' to Erich, who turns 28 on the 20th of September. "Celebrating her birthday days ahead, because we love this girl so much," Marjorie wrote in her post. Apart from the Barrettos, Erich Gonzales also found a family in Kris Aquino and her two sons who let her sleepover at their home sometimes.